Today, I’m happy to have Evelyn Mann sharing a grateful journey here today. I happened upon this inspiring woman on a blogging forum and knew that I just had to get her to share her family’s journey on Everyday Gyaan. Thank you for being so willing to share your story, Evelyn. You inspire me! 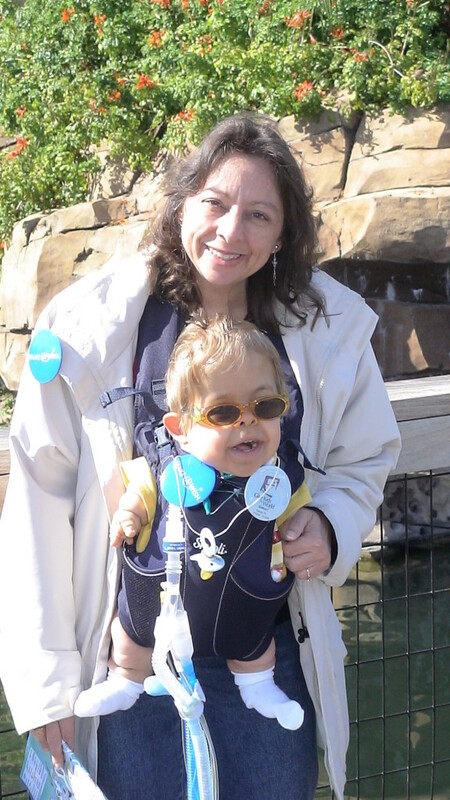 Evelyn Mann is a special needs mother raising her son in sunny Florida, USA. Her son has a rare form of dwarfism called Thanatophoric Dwarfism Dysplasia. And though, this is a lethal form of dwarfism, her son has exceeded all expectations and is now ten years old. You can follow her on her website where she shares insights on raising her son. I am extremely grateful to be blessed with a wonderful husband. When I was thirty-seven years old, I was beginning to wonder if I’d ever find someone. My prayers were answered when I met my husband and we were married just a few weeks shy of my thirty-ninth birthday. He was worth the wait. We went on a tour of waterfalls for our honeymoon and thus began a marriage full of love and hope. Not long after, we found out we were expecting my first child. Joy and excitement was tempered by frequent occasions of extreme sleepiness but that soon went away. The day arrived for us to find out whether our child would be a boy or a girl. Only to discover, our child was growing slower than expected. Yes, we were having a boy but was he healthy? Time would tell. After many meetings with doctors, we were told our son would likely not live past birth. We heard the words from the doctors but our faith in God glued us together, trusting in Him to work it all out. And so, on a summer day in August, our son came into the world very much alive. For six months, our son struggled to be stable enough to leave the hospital and come home with us. We had a team of doctors and nurses providing around the clock care with specialized machines to help our son. My motherly emotions were on a roller-coaster of ups and downs but through it all, I prayed and trusted God for our son’s outcome. And so, on a cold day in February, our son came home to twenty-four hour nursing care and two very jubilant and loving parents. We soon learned how to care for our son’s special needs. This required learning how to care for a tracheostomy and a feeding tube; one to help him breathe and the other to give him food and water. Coupled with managing his ventilator, it was a very steep learning curve. My instincts as a mother were especially strong, not allowing our son to venture out except to the doctor. I didn’t even want to take him to the park. So this went on for a few years. Then, when my son turned three years old (already far exceeding any doctor’s expectations) we received a wish. The Make-A-Wish foundation, an organization which grants wishes for medically fragile children, sent us to see the dolphins at Sea World in Orlando. Like a bird being pushed out of her nest, I was being encouraged to show my sweet son a world other than doctor’s offices and home. And so, on winter’s day in February, we were driven by limousine to Orlando for an amazing holiday provided by the gracious kindness of the Make-A-Wish foundation. On this trip, I prayed much and learned how to travel with my special needs child which would open doors I’d never dreamed of. 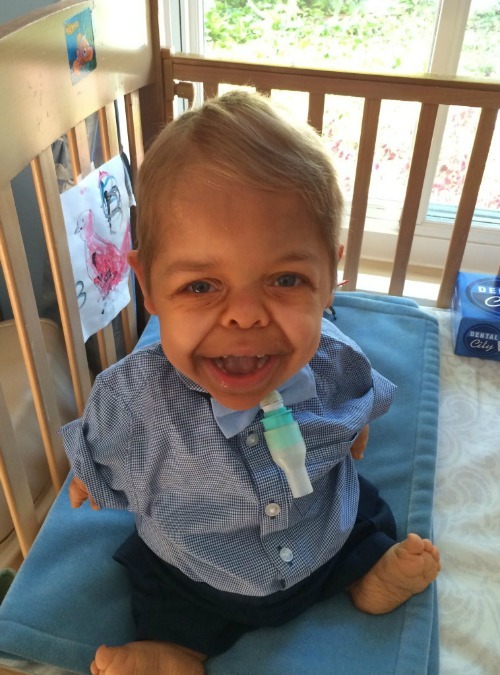 Another miracle happened when my son comes off his ventilator. A dream I never expected to happen. I’d hoped, yes but dared not dream such things were possible. But with God, nothing is impossible. 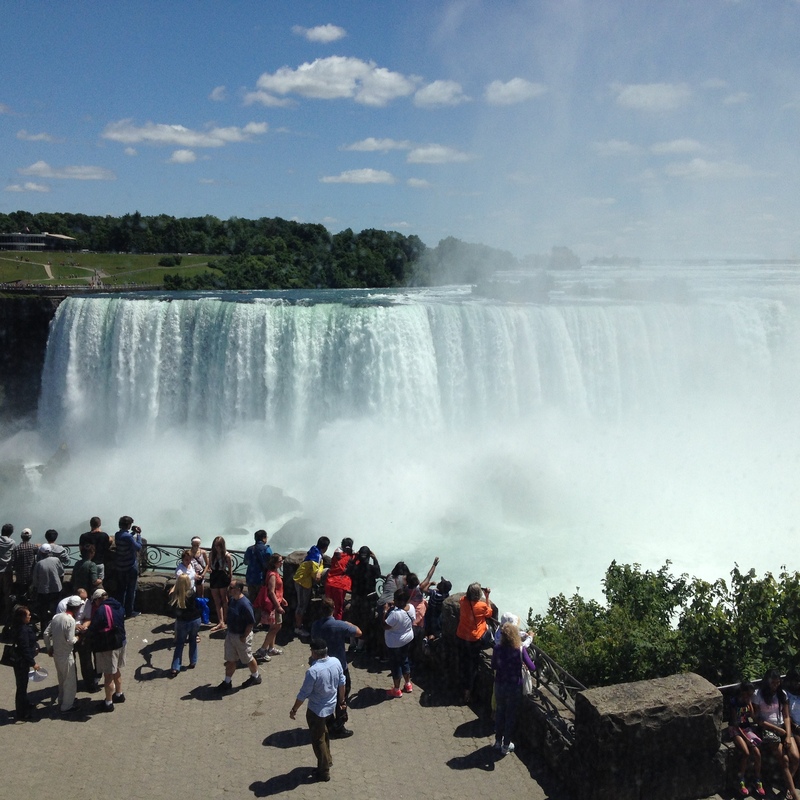 So, two summers ago, we travel to Niagara Falls. From the tiny waterfalls of our honeymoon to one of the largest, we distanced many miles by road to see this wonder. Standing by this impressive feat of nature, I look at my son and am in awe. In awe that we are in this surreal place, far away from home (1,932 kilometers), with my special needs child. I’m struck by the mist of the falls making rainbows in the air and a child that was never expected to live now experiencing this natural wonder. As we live our lives raising our miracle, I’ve come to be thankful for things once taken for granted. I’m extremely grateful for our health. Though our son has special needs and is considered medically fragile, I see him as a stable, happy, full of life little boy with a smile that melts hearts. And for that, I am grateful. For us, being thankful is a way of life. What are you grateful for, even in the midst of what is considered trying circumstances? You may not have a special needs son, but we all can choose to be grateful even in the face of difficult circumstances. That is how we overcome, yes? We overcome together, through the power of our stories. I’d love to hear your story. 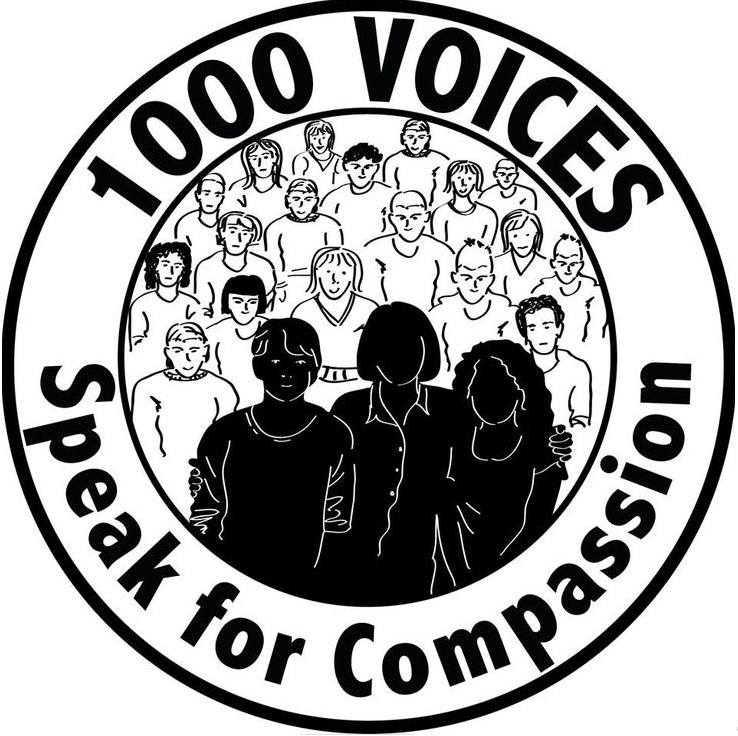 Linking in to the #1000Speak for Compassion post. This month’s theme is gratitude. what a fantastic story of a mother’s love and faith – that little boy is blessed to have them as parents and I’m glad he brings so much joy to their little family. Fabulous story—and fabulous outlook. It really is about perception, and the desire to see light where others might only see darkness. Much love to Evelyn and her beautiful, sunny child. You’re both an inspiration. Thank you, Corinne, for sharing their story. What a beautiful, joyful smile he has! This is quite a inspiring story! Thank you for sharing it. What a lovely story. He looks like an old soul 🙂 I love him. Like you my post for 1000 speak this month is about gratitude in circumstances you could not have imagined to feel grateful in. Mine is about owing gratitude to childhood cancer. What a beautiful story, perfect for the Thanksgiving season. This is an inspiring story that really reminds us to keep our life’s “woes” in perspective. What an uplifting story! Thank you for sharing! This is such a beautiful, heartwarming story! Thank you for sharing it with us, Corinne. It certainly drives home the point that we must be grateful for what we have and not take things for granted. Thank you very much Corrine for bringing this mom’s story to us. It helped me in opening my heart to power of love and prayers. Corinne, thank you so much for bringing this beautiful story of faith and a lovely family doing a wonderful job of nurturing one beautiful son. What an example of attitude and love that is breaking all expectations. We can all learn so much from them and being thankful and making thankfulness a way of life. Oh, this is such a touching story. I am glad that your son is able to live such a great life with you.